Hi – Looking at some ~18th century inscriptions recently got me wondering about the alternate “round” form of the lowercase r in blackletter inscriptions. Wikipedia calls this the “r rotunda” and says that it is a calligraphic variant (rather than an orthographic distinction, such as between the long and short s) that basically appears after letters that are round on the right. I’m particularly intrigued about the disconnected/stencil-y form of the round r shown in the example below, whose first half can then be connected to e.g. 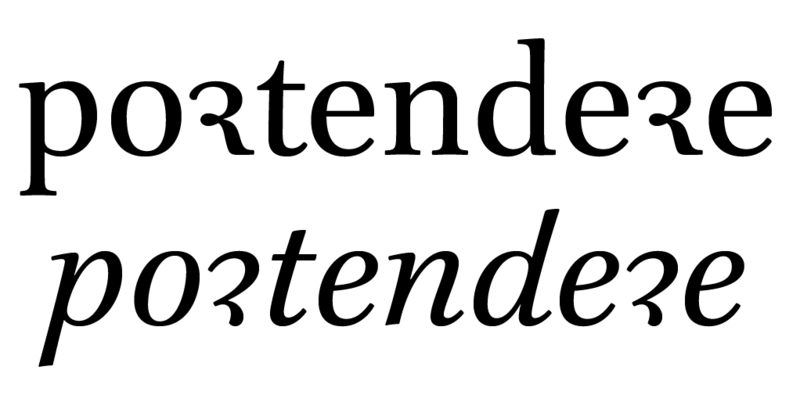 a preceding e, as seen in “hieher”. Is there some bigger [hi]story behind this disconnected form of the r rotunda? The Wiki article linked to above mentions some variant forms, not sure that’s what this is. I was under the impression that the rules for the special r where like for the s/longs. The 'round' form would be used at the end of a word (syllable?). The ‘round’ r was used after a letter that was (initially) round. Nina’s example shows an 18th-century mainly Fraktur-based lettering with some arbitrary combinations. Especially lettering leaves room for such practices, I reckon. My finds are rather anecdotal than significant, but at least in this regional, temporal and technological context, it sometimes looks like r vs. ꝛ were used in a similar way as ſ vs. s – round variants when in final position, like Georg suggested. In the aforementioned example, 10 out of 27 are in absolute final position, and another 8 at the end of morphemes. See also these examples. A double r almost always contains one r rotunda – variatio delectat –, but the order is not set in stone: sometimes it is rꝛ, sometimes ꝛr. In another epitaph from Hall, there are 12 instances of ꝛ, of which 11 are in final position and one in ‘Herꝛn’. The standard r appears 22 times, of which 2 are at the end of words. One r is hybrid. In this epitaph in the Brunswick Cathedral, the ꝛ looks like an interrupted standard r, with hook at the top right. An inscription at Castle Raabs from the 16th century includes both a(n angular) capital R rotunda and an ‘et cetera’ rendered as (rounder) Ꝛ + C. In the latter, the glyph is not really an R rotunda, but goes back to the to the Tironian et (⁊). Did you see the ꝛ in Albrecht Dürer’s Textura? Thank you all. Ha Georg, Florian, that’s really interesting – I went back to my photos and indeed from these couple of 18th-century inscriptions that I photographed in Basel, too, there appears to be a tendency to put the ꝛ at the end of words or morphemes. I wonder if there is regional/historical variance in the rules/patterns governing use of ꝛ, or whether wikipedia is just plain wrong. Or both. Anyway, if anyone has further info or sources, I’m all ears. Frank is right about the origin of the r rotunda (or “half r”), of course. If you look at the text of Dürer’s book from 1525, you’ll see that the letter variants were used according to these rules: ar, er, fr, gr, ir, jr, kr, tr, ur; but bꝛ, dꝛ, hꝛ, oꝛ, pꝛ, rꝛ, vꝛ. This is what you find in books and in typographic context. My first comment was intended as a hint that such rules don’t necessarily apply to inscriptions. On the plate of his showing of Fraktur, Fugger presents a variation of r where the two strokes slightly overlap. 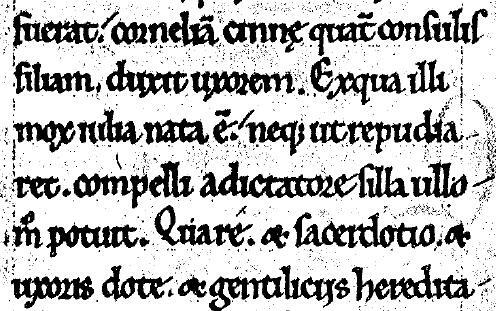 On the preceding plate he tells the reader that it is allowed to mix the Fraktur with characters from other scripts. In the art line he says ‘Hie gege[n] hastu dreyerley Alphabeth einer Fractur schriefft, lern und schreyb, welche du wilt’. Which translates as: Here you have three kinds alphabets of Fraktur script, learn and write whichever you want. Obviously, Fugger does not want to bother his audience with any rules. I think it may be relevant for this discussion about rules that Fugger shows his Fraktur in display sizes only. He shows both his Canzley and the variations of Current in smaller sizes. Thus it seems that Current is taught as the running hand (text) and that Canzley and Fractur are rather used for shorter texts and headlines in larger sizes (display). I have not checked wether Fugger gives or applies rules for the use of the variants of a, r, s etc. as shown in his examples of Canzley and Current though. Also it would be interesting to check the manuals of Neudörffer the younger on this, because Fugger was his student. You may find digital versions of these in the BSB as well. Fugger is not a proponent of “anything goes”. He says mixing Fraktur with letters from other scripts is akin to patching a velvet bavaroy with old rags, and that one should stick to one kind. Within Fraktur however, one may mix the presented variants at will – which means that he considers all of them as Fraktur letterforms. His r #3 is an interesting hybrid: it could be written using the same returning construction as in #1, just without the covering horizontal stroke at the base. On the other hand, when made with two downstrokes, it has a similar pattern as in #4 (ꝛ). The rotunda broken r presents an interesting design problem for roman types used to transcribe manuscripts. A peculiar convention of some transcriptions is to set an e.g. bastarda, rotunda, or other blackletter manuscript in roman type, while at the same time representing some of the graphotactic elements of the original text, such as the use of the broken r. Hence the inclusion of the ꝛ as a distinct character in Unicode, allowing plain text encoding of such transcriptions. This protogothic book hand from the 12th century (England) shows for instance an r rotunda that looks a bit like a 2. @John Hudson : The italic ꝛ is beautiful! I’m curious to know why you chose the knot in roman? Thanks. I kept comparing it to the R, but when you did the 3 like that I guess it makes sense.